With over 30 years experience, WELE is well known for it’s innovative technology. 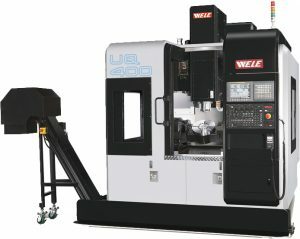 WELE has successfully developed more than 60 high level models of new products, including big bridge machines working range between 600mm and 16000mm in X direction, 500mm and 6000mm in Y direction with five sides, five axes, high speed machining functions and horizontal boring function. 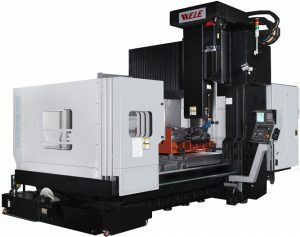 WELE high speed cutting machines feature state-of-the-art technology and innovative features that improve machining accuracy, enhance surface finish, reduce bur formation and improve chip evacuation. 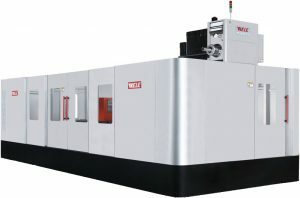 WELE’s Five Sides Family of machines combine multiple axes and innovated tool management systems that allows machining of parts in a single setup environment, making them perfect for machining complex parts in small lot sizes. WELE products have a history of reliability that stands up to even the toughest shop environments. 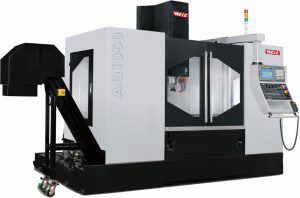 Their Horizontal Machining Centres are among the best for speed, accuracy and reliability. 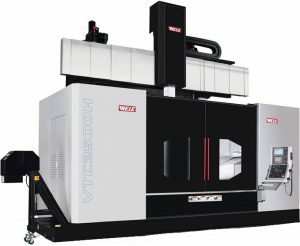 For productive and profitable machining, WELE horizontal machining centres are an excellent choice for competitive production.